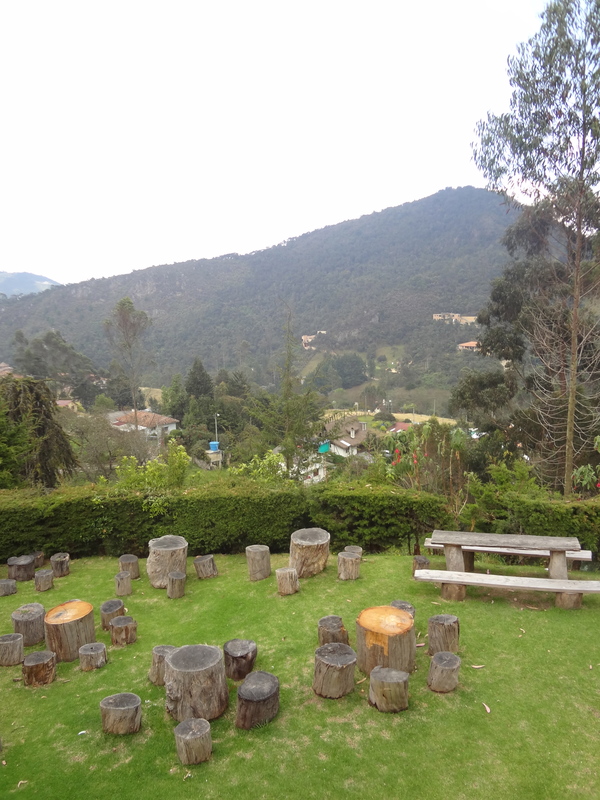 La Calera is a scenic area north of Bogota. 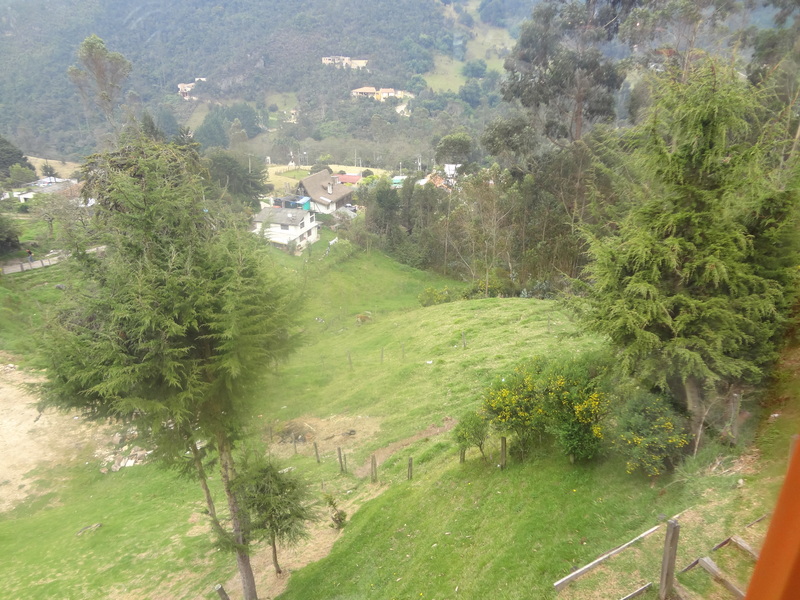 On Sundays, the entire road to La Calera is closed to cars, and used for walking and biking. Diana and her parents graciously took time out of their weekend to take me and Robyn on a tour! The countryside views are gorgeous. There are tons of great restaurants along the way. 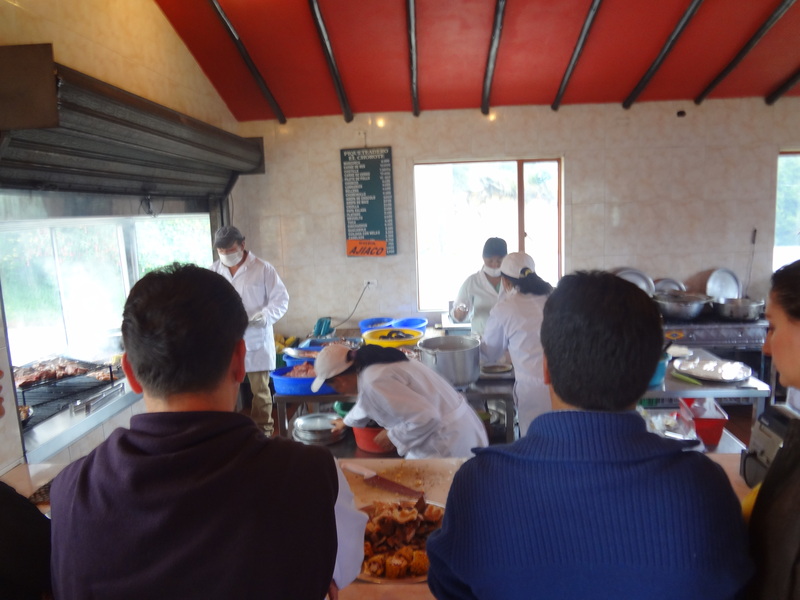 We stopped into a an authentic parilla, where they served various grilled meats, alongside baby potatoes (a variety native to Colombia), and guacamole. Everything was served on a large platter, for the table to share. 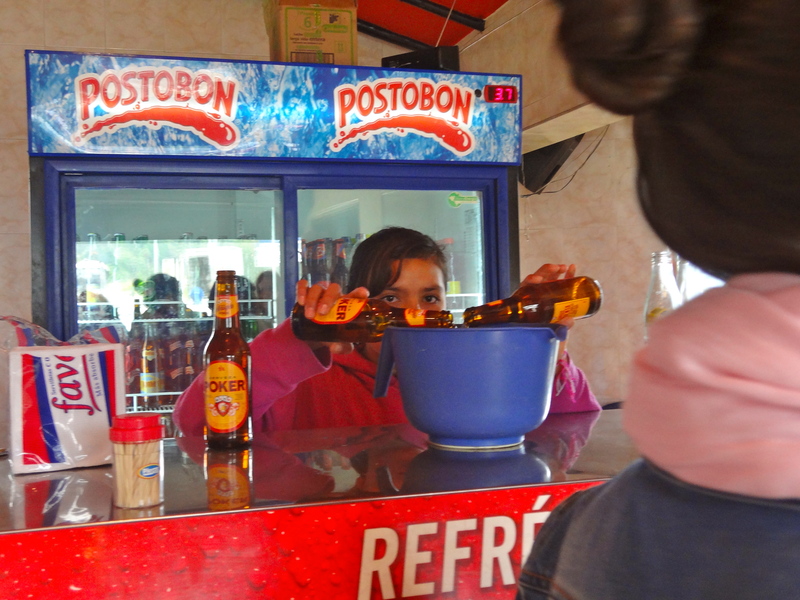 We also tried a typical Colombian beverage specialty that is basically a mixture of beer and orange soda! Sounds crazy, but it was actually pretty good. We continued on the drive, which took about 2 hours total from start to finish. 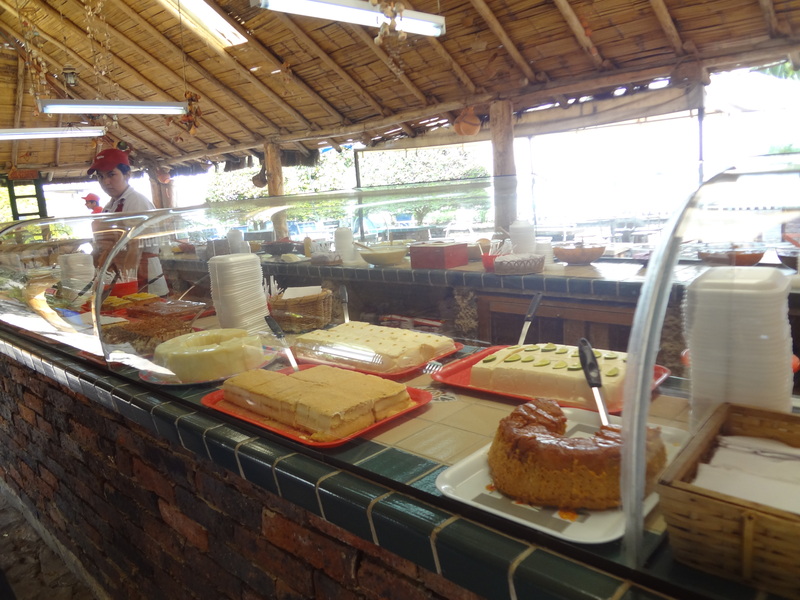 Diana’s family also took us to their favorite dessert spot. 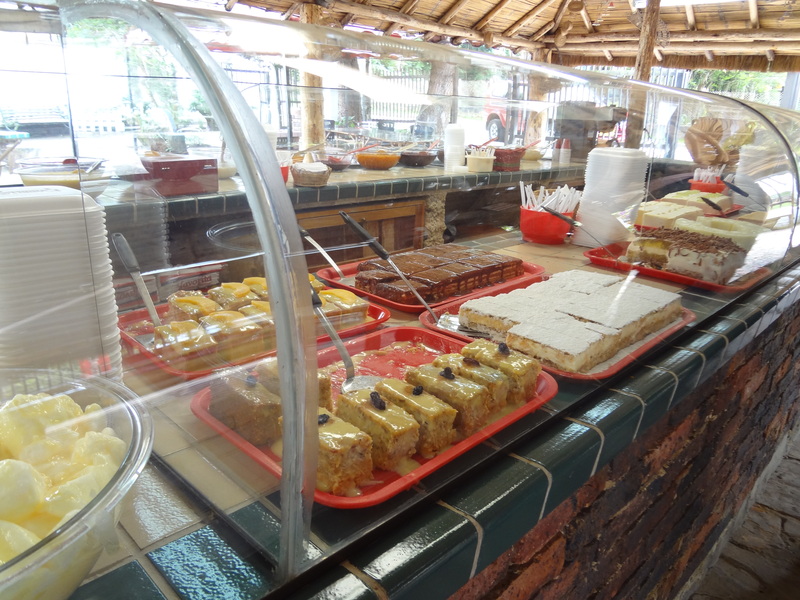 This place is unreal… basically a large counter with a hundred desserts; everything you can imagine, and some I’d never seen before! We ended the afternoon feeling very stuffed!